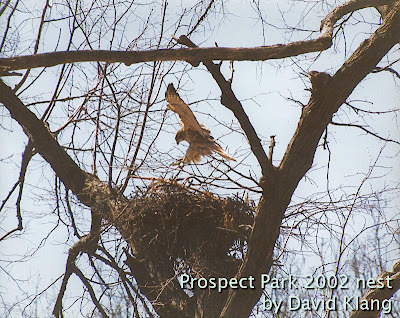 I spend a short time in Prospect Park this morning hoping to observe any Red-tailed Hawk nesting activity. There's a wooden gazebo at the top of the Ravine that gives a good perspective of the surrounding woods. I stationed myself in that spot and waited. It was late morning and the only activity that I observed was a pair of Ruby-crowned Kinglets feeding in the low shrubs. The forecast called for rain and sleet, but fortunately it was just dark, foreboding weather and I remained dry. Mary and Scott were walking through the Ravine and joined me at the gazebo. 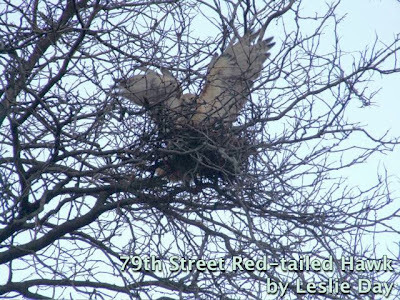 Neither had seen any signs of nesting red-tails. Scott had been at Breeze Hill checking the birds at the feeder. He noticed that another greedy goldfinch had climbed into the largest feeder and gotten caught inside. What happened next was both sad and amusing. Scott said that it took a few minutes for him to lower the feeder and coax the panicked bird from the container. Within seconds of freeing the bird, the goldfinch was snatched from the air by a Sharp-shinned Hawk. The clever hawk must have been watching the not-so-clever goldfinch the entire time. I didn't have much time to spend in the park, so after about 30 minutes started down the stairs into the Ravine. Mary headed towards the Long Meadow, while Scott and I remained for a few minutes so I could photograph some yellow flowers that I had never seen before in the park. 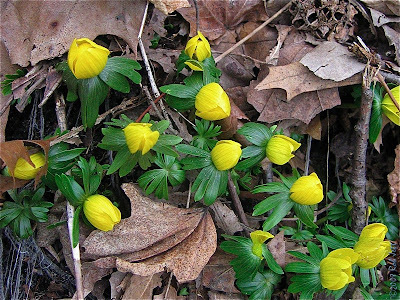 They are Winter Aconite (Eranthis hyemalis). When I was finished we walked the path through the woods towards the Nethermead Arches. Mary called to say that there was a pair of Red-tailed Hawks circling over the baseball fields. We changed course. About 30 seconds later I heard the chirping, contact calls of a Red-tailed Hawk coming from the forest to our right. We changed course again. Mary called to say that the hawks disappeared somewhere in our direction. It took a moment to locate the source of the calls and, as I had hoped, it was Ralph and Alice. They were perched in the same tree. I pointed out their extreme markings to Scott so he would know them in the future. Ralph then flew a short distance to another tree and began examining branches. He snapped off a couple that dropped to the ground. I guess they weren't to his liking, but he eventually found a good one and flew with it to their nest of the past five years. Alice flew overhead and landed in a tree at the Midwood. Ralph added another branch then joined her in the other tree. He broke off a branch from the tree a few feet from where Alice was perched that was nearly as long as his wingspan and brought it to the nest. I wonder if there was any significance to him taking nest material from directly in front of her, especially such a huge branch. The lighting was terrible for photographs (and will be for a few days), but now that I know they are back at the same location, I plan to go back over the weekend. Sunday's cloud free, sunny weather was a good opportunity to try and photograph the Purple Sandpipers along Gravesend Bay. When I was a beginner birder I couldn't understand why these mostly, gray shorebirds were called "purple". It took several trips to the rocky jetty at Breezy Point to view them that I finally saw the color. The purple is a subtle iridescence in the plumes that can only be seen when the sunlight strikes their feathers at certain angles. Also, it helps to be close to the bird, which one usually isn't when observing them at Breezy Point. There were about 2 dozen of the sandpipers along the water's edge. They were very cooperative and I shot both still images and a short video (the purple sheen is visible in the video at the end of this post). I was getting ready to start walking back to 4th Avenue when I ran into my friend Alex. 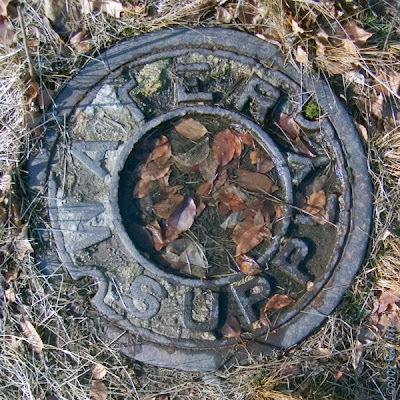 He had been walking north from Calvert Vaux Park. 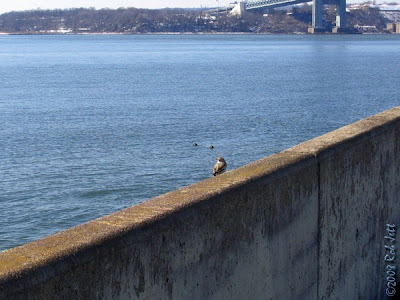 I joined him and when we were several hundred yards from the Verrazano Bridge I noticed a small, pale bird pop up onto the concrete wall edging the path. It quickly ducked out of sight and I thought that it might have been some kind of shorebird. Alex thought it was a sparrow. It flew back up to the top of the wall and we were both surprised to see that it was a Snow Bunting. Not the typical habitat for this arctic breeder. 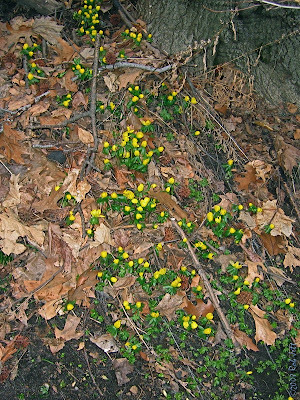 Their winter range includes New York City, but they are usually found along the beaches from Breezy Point and east. 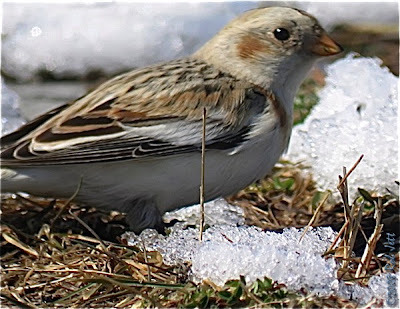 There are grassy areas along the promenade between the highway and the pedestrian paths, but hardly enough that I would ever expect to observe overwintering flocks of Snow Buntings. They are gregarious birds and rarely found singly during the winter. We speculated that he was separated from his flock during the snow storm. He was hungry and made short, nervous flights from the wall to open patches in the snow along the edge of the running path where he nibbled on exposed grasses. At one point he perched on the wall only about 10 feet from us. We waited for him to move before continuing towards the bridge. I commented to Alex that I knew Peregrine Falcons nested on the bridge, but that I had never seen one perched anywhere on the bridge. On a whim, I opened up my scope and focused it on the top of the near tower. 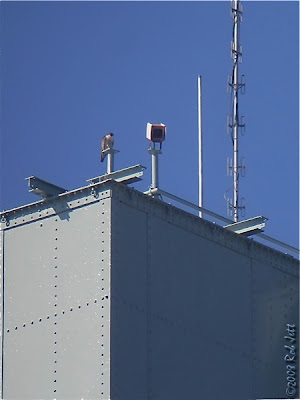 Sure enough, amidst the cameras and antennas, was a perched Peregrine Falcon. If it were only that easy all the time. I forget that, even standing below it, the scale of the bridge is so massive that the profile of a Peregrine Falcon could easily get lost among all the cables, girders, lighting fixtures and other equipment. 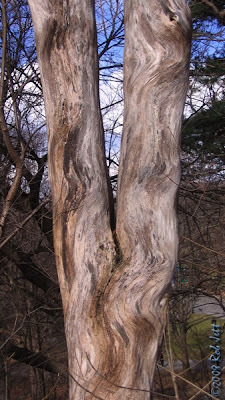 A pair of red-tails are building a nest on a large honey locust tree that hangs over the W.79th Street on ramp to the West Side Highway. Lots of people are gathering each morning to watch them carry twigs to the nest. 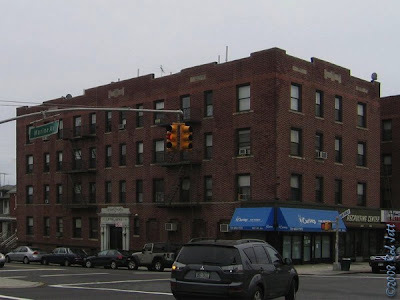 We're a bit worried that it is being built over a busy street leading to the northbound West Side highway. Amazing and wonderful to see this process. 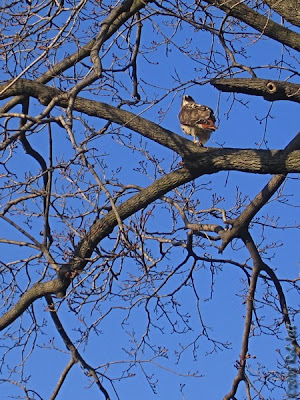 It reminded me of the hazardous choice that Big Mama and Split-tail made for their first nest near the 3rd Street playground in Prospect Park. Located directly above a crosswalk and busy road, they somehow managed to avert tragedy and raised two healthy offspring. In the years that followed her first family, I guess Big Mama has figured out that life is much less stressful when her nursery is located farther from the flow of traffic. She never reused the 3rd Street nest. Leslie's email motivated me to check in on Alice and Ralph's nest in Prospect Park. I am still not certain if they've decided to stick with the Ravine location. I walked up to the park at around 4:45PM. From the 5th Street parking lot entrance, I had a clear view of the 17 story apartment building across from the park near Grand Army Plaza. It's the building that the pair "Slingshot" and "Walnut" have been frequenting for the last year. Anyway, I spotted a pair of red-tails circling the roof and quickly took out my binoculars to watch. One of them disappeared from view over the park and into the trees that border Prospect Park West. Moments later, I followed the second one in my bins as it abruptly dropped to treetop level and headed towards the Litchfield Mansion on my right. The first hawk had apparently flown to the building's roof while I was looking the other way. The second hawk joined his mate and they circled the building a couple of times. The one that I presume is the male because of his small size flew over my head, then out of the park and down 5th Street. His mate followed. They traveled in a direction that didn't make much sense, at least if I were a Red-tailed Hawk looking for a nesting location. I live on 5th Street, so when I returned home, I went up to the roof to scan for the two hawks. 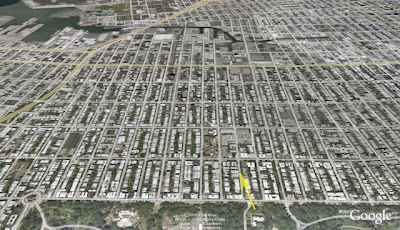 Apart from the low brownstones that dominate the area, there are only 4 large buildings in the direction that they flew. Also note that there aren't any parks in that direction. If they are building a nest within that several block area it could only be on Methodist Hospital, its housing across from the hospital, St. Savior's Church & High School or John Jay High School. It may still be winter, but I should start spending more time on my roof scanning for them. I'm not a Red-tailed Hawk, so it's impossible for me to know why they left the park. There is a fairly large flock of pigeons that roosts on top of Methodist Hospital, so maybe they just had a dinner date at the hospital. Last Sunday I took the "R" train to 95th Street and 4th Avenue in Bayridge. It's the last stop in the borough of Brooklyn. From there it's a short walk to the coastline beneath the Verrazano Bridge. From there I would walk south along the promenade to the highway overpass at Bay 8th Street, walk north to the 18th Avenue "D" train station, then go to Coney Island to walk along the boardwalk and check out the coastline. 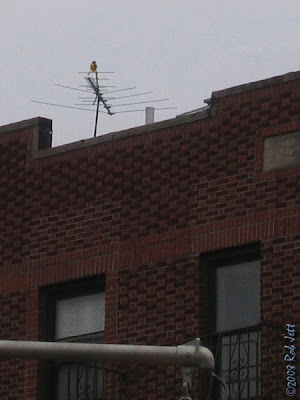 Two block from the the "R" train station I noticed a bird perched on an apartment building's television antenna. I hadn't taken my bins out yet, but guessed that it was a kestrel. He stayed long enough for me to unpack my binoculars and, in fact, it was a kestrel. 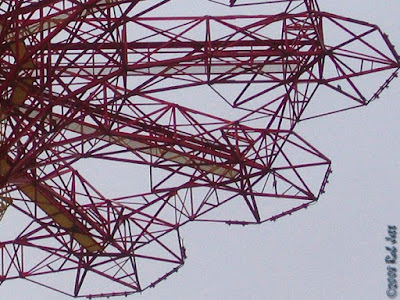 I'm pretty sure that most people (at least around NYC) have discovered satellite or cable television and disconnected their vintage TV antennas. Thankfully, they've left them mounted on their roofs and the local falcons have put them to good use. It was low tide when I arrived along the water's edge under the bridge. There were several dozen gulls feeding on the rocky shoreline. Most were Ring-billed Gulls, but one small, dark gull stood out from the flocks. It turned out to be a Lesser Black-backed Gull. They are a regular, but rare winter sighting, usually along the ocean. There were Purple Sandpipers also feeding along the edge of the water. Along the 1-mile route, I counted 23. A flock of between 18,000 - 20,000 scaup was still present near the cove close to Bay 8th Street. The wind had shifted to the south since my last visit, so they had moved farther from the shore and closer to the "Toys 'R' Us" parking lot. While I was on the "D" train heading into the Stillwell Avenue station at Coney Island, the train stopped on a trestle that spans Coney Island Creek. It is in an area a short distance from where a Western Reef Heron made a short appearance last year. I was looking out the window and noticed 2 Great Blue Herons on the shoreline beneath the Stillwell Avenue bridge. After eating some pizza at Totonno's on Neptune Avenue, I headed over to the boardwalk. The temperature had dropped about 10 degrees and the wind had picked up, so I didn't spend much time on the beach. 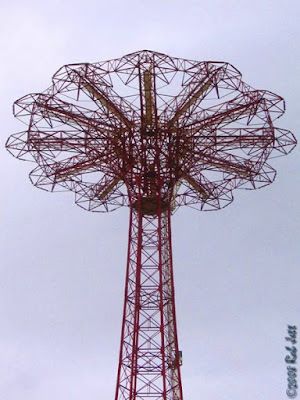 At the old parachute ride next to the Brooklyn Cyclone's stadium, I spotted a pair of birds perched within two of the octagonal, steel trusses. I made an educated guess at their identity. A quick look through my bins and I was 2 for 2. It was a pair of Peregrine Falcons. The unused steel tower is a favorite perch for the local peregrines. The Brooklyn Cyclone's are a minor league team in the New York Mets organization. I usually go to about 8 games a year. The team has only been in existence for several years and it was during my first or second game that I discovered the raptor's choice perch. Our seats were along the first base line, in line with the tower. I noticed one, then two, then several feathers fluttering passed. The source was from the top of the tower. A Peregrine Falcon had just caught a pigeon and was plucking it from its perch on the parachute ride. It was a nice diversion during a slow inning. Shane and I went over to Gravesend Bay yesterday to look for a huge flock of scaup that he had seen on Wednesday. 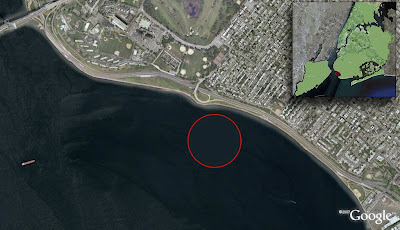 Gravesend Bay is the section of water on the south side of the Verrazano Bridge, between Brooklyn and Staten Island. The flock was primarily composed of Greater Scaup, but there were some Lesser Scaup scattered throughout the birds. It's not unusual for scaup to be seen overwintering in that area. What was unusual was the quantity of birds. When Shane called me the night before he described a group of nearly 20,000 birds! I was looking forward to seeing such a spectacle. When he picked me up at 8:30AM, it was sunny and clear, but blustery. Strong winds were whipping in from the northwest and we were concerned that the birds would have moved or just been difficult to see between the whitecaps on the water. When we arrived we found that most of the ducks had moved closer to shore and into the lee of a small protected curve in the shoreline. There were also two smaller flocks of about 2,000 birds each, farther from the shore. There were lesser numbers of Bufflehead, Common Goldeneye and Red-breasted Merganser in the area. You'll probably think that we are a little obsessive, but we attempted to count (or at least estimate) the number of scaup present. After counting groupings of birds and extrapolating, we felt reasonably certain that there were between 18,000 to 20,000 individuals present. While that may sound like a lot of waterfowl (and it was easily the most scaup I've ever seen in one place), 250,000 were recorded on the Great South Bay on Long Island on December 3, 1929. According to "Bull's Birds of New York State", recent surveys have shown that the species is in decline. Also of note in that area were 4 Purple Sandpipers along the rocky shoreline. 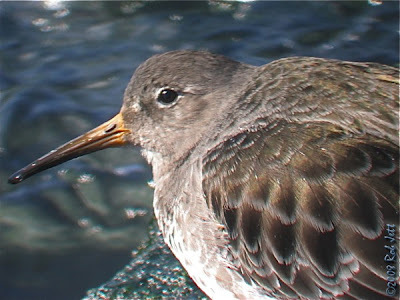 They are another bird species that overwinters along the rocky coasts of New York City and Long Island. I tried to take some photos but the strong wind and low temperature was making my camera a little cranky. Now that I know how easy it is to find them in that area, I may go back this weekend. I've been neglecting my blog for the last two weeks. It hasn't been so much that I haven't been getting out or even taking pictures. Between work, my Ridgewood Reservoir project and spending time with my wife, things have just been getting pushed to the bottom of the pile. I had even created a new post, uploaded several photos and my day lists, but just never managed to finish writing the words. At the Ridgewood Reservoir I noticed that the Department of Parks had cleaned up the edge of Basin #1 (the bog) where people from the neighborhood had created an illegal paintball course. They had dragged all sorts of garbage into the basin to use as barricades and forts. I was surprised to see that park workers had taken the clean-up job to an unnatural level of tidiness. 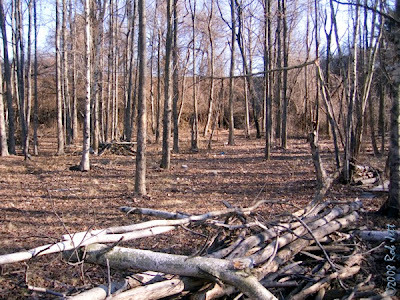 They had gone so far as to collect branches, logs and other elements of a normal forest understory and neatly stacked everything in little piles. I found it not so much weird, but from a habitat standpoint, completely unnecessary. 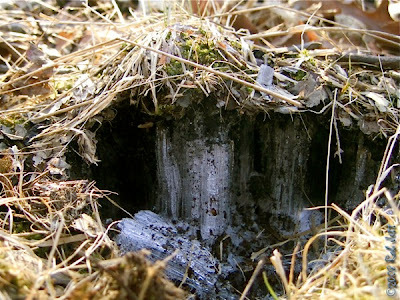 The cold snap had rapidly frozen the saturated soil within the bog and created tiny crystallized columns that lifted up sections of moss, grass and earth. 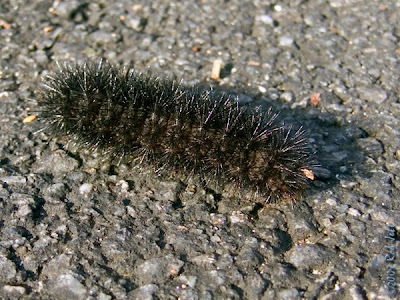 While I was walking the path around the south end of the basins I spotted a Woolly Bear caterpillar crossing the path. Their fuzzy covering is usually an arrangement of orange and black bands. The one I spotted appeared to be completely black. When I moved it off of the path so that it would get squashed, it curled up revealing extremely fine orange bands. Folk legend says that the amount of orange banding is an indication of the coming winter's severity. They say it is only a myth, so I think I'll just continue to rely on the television meteorologists. 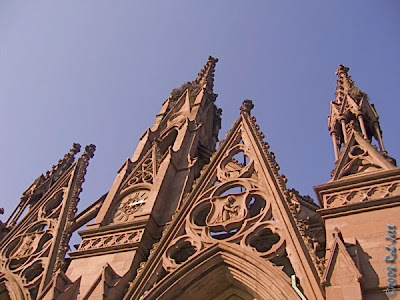 My wife and I took a walk through the Green-Wood Cemetery recently. I had found a document on the Internet that described a history walk through the cemetery so we decided to check it out. We spent about an hour walking the areas near Battle Pass before heading back to the main entrance. The Monk Parakeets that nest on the stone spires above the entrance are always noisy, but when we approached they seemed louder than normal. 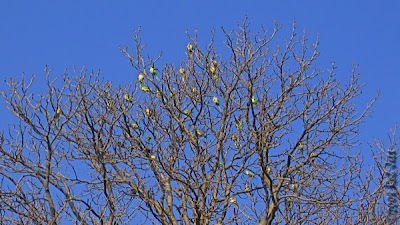 About two dozen of the bright green birds had flown from the red, stone towers and perched out in the open. I scanned the adjacent trees briefly and spotted Big Mama. She had a freshly killed pigeon clutched in her talons. I thought it was odd that, rather than fleeing, the loud birds chose to perch out in the open. Maybe they understood that the relatively slow Red-tailed Hawk relies on the element of surprise to catch prey. Watching her from a safe distance probably increased their chance of survival. Had there been a Peregrine Falcon perched nearby, they might have chosen to hide inside of their huge nests. 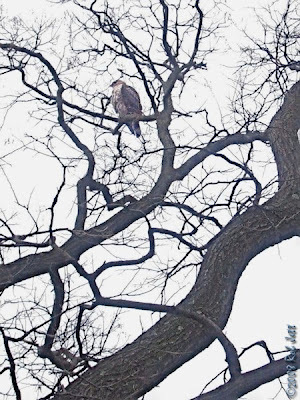 I spent a few hours over a couple of different days searching for the Red-tailed Hawks in Prospect Park. By March they should be working on the old nest or preparing a new one for the spring. As I was walking through the Ravine, a hawk flew over my head and perched in a tree near the Nethermead Arches. I walked up the stairway to Center Drive to get a better view of the bird. It was a juvenile Red-tailed Hawk that seemed smallish. Perhaps it was a male bird. I looked for a band on its leg to see if it was one of the rehabilitated hawks that was released. It didn't have one, so it could have been one of Alice and Ralph's offspring. It had a very noticeable white patch on its forehead. I watched him for about 15 minutes then he took off into the Ravine. He was heading towards the ground, so I hurried back down the stairs hoping to find him with a fresh kill. Instead, when I got to the path adjacent to the stream, an adult Red-tailed Hawk flew out of the woods and perched above me. I immediately thought, "Ralph!" It has been a while since the last time I saw the small, pale-headed hawk. He was quickly followed by his darker mate, Alice. She was chasing the young red-tail out of their section of woods. The juvenile hawk flew under the bridge, while his pursuer flew above. A jogger on the roadway stopped in his tracks on the bridge, startled by the huge bird. A moment later, Ralph flew across the road and perched near the top of a large sweetgum tree. They clearly did not want the young Red-tailed Hawk in their territory, but they stopped chasing him as he flew off towards the boathouse. The two adult Red-tailed Hawks then took off flying towards the woods of Quaker Ridge. I caught up with them near the bridle path a short distance from the Quaker Cemetery. I had never seen them perched side by side for any length of time and the comparison of their features was dramatic. Alice's head is very dark and, in the late day sun, looked bronze. The feathers around her eyes are nearly black. Her thick belly band has a lot of dark contrasting streaks and, in profile, seems to extend the entire length of her body. Her flight feathers are a rich, chocolate brown and she has very few pale splotches on her back. Ralph was preening his feathers for most of the 20 minutes that I was observing the pair. Unlike his larger mate, his pale, finely streaked head plumes have a silvery quality. His belly band is so faint that, from the side, it is nearly non-existent. He has extensive white splotches on his back and hazel-colored flight feathers. Most Red-tailed Hawks in flight have a hooded appearance from a distance. Ralph's overall paleness, on the other hand, makes him look almost as if his head is white. In Green-Wood Cemetery, Big Mama and her mate, Junior are much more similar and I'm still looking for unique characteristics in each bird so that I can easily tell them apart. I've been told that hawk's patterns change slightly when they molt each year, so it may not be possible. A couple of days after I saw Alice and Ralph chase the young hawk, I located him perched in a tree next to the Tennis House. At first, I wasn't certain who I was looking at, but then I noticed the large white patch on his forehead. He appeared to be stalking pigeons that were roosting on the Spanish-style terracotta roof of the Tennis House. Several times he landed on the curved, ceramic tiles, but seemed ungainly and confused when standing on the hard surface. He eventually gave up and flew off towards the maintenance garage near Prospect Park West. Later in the morning I came across another juvenile Red-tailed Hawk next to the boathouse. He was perched in a Pagoda Tree next to the Camperdown Elm. Rangers Tom and Tony were standing below the hawk, waiting to lead a birding trip in the park. Tom told me that the young hawk had attempted to grab a duck from the water near the Boathouse Bridge. Apparently, she only succeeded in getting soaked and spent the next 45 minutes drying off in the tree. 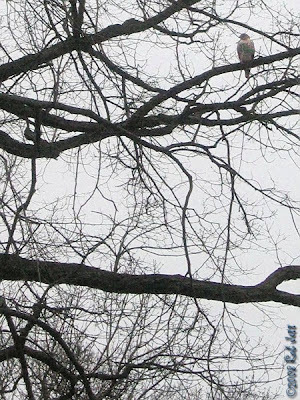 As I was watching, a careless squirrel was climbing up and down the branches dangerously close to the wet raptor. The rodent was missing most of his bushy tail. From the looks of it he probably has had one close brush with death and, if he continued his foolish ways, it wouldn't be his last. Fortunately for him, the Red-tailed Hawk showed only a brief interest in the squirrel and made no attempt to catch it.